Design and installation of pavings stones, synthetic turf & block walls. Paving stone driveways, walkways, patios & pool decks. Synthetic turf lawns & putting greens. Concrete block retaining, garden & sitting walls, steps, stairs & transitions, fire pits, BBQ's and water features. 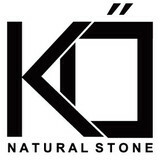 Kő is an education and supply company. A cohort of natural stone enthusiasts -with backgrounds in the design/build industry- that have come together to simplify/enrich the selection process and provide a curated collection of thin and full depth veneer, paving, and cut-stone options. Tom’s Concrete is your number one source for complete residential and commercial concrete services. Our family owned and operated business is backed by over 20 years of experience in bringing you the best concrete services. We offer a variety of services from concrete driveways, flatwork, patios and walkways to decorative and stamped concrete. No job is too big or small for our concrete experts. Our staff is professional, prompt and reliable. You can be assured that your project will be completed in a professional and timely manner. Enhance the look of your home by calling Tom’s Concrete for all your concrete needs. 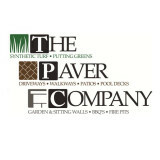 Pavers Made Possible is an innovative newly formed hardscape design and build specialist company. We pride ourselves as being forward thinking industry professionals with a team of qualified paver designers held to the highest standards. Our team holds an impressive combined industry knowledge of over 50 years experience. The designers at Pavers Made Possible are maintained with ongoing training- ensuring that we comply not only with the ever changing building regulations, but that we have confidence to guarantee our reputable work. CastleLite Block, LLC is the leading manufacturing and installation source of Concrete Pavers, Concrete Masonry Units and Retaining Wall Systems for residential and commercial clients in Northern California. For over 60 years our Diamond Certified business has proudly served the Greater San Francisco Bay Area and Sacramento. We are the only manufacturer that sells directly to its clients, and that makes a big difference in terms of the price, quality and appearance of our installations. Visit our website for a full list of services, then request information online or call us today for a free estimate and design customized to your specifics. We look forward to providing you with unparalleled value from CastleLitle Block, LLC! Paradigm Concrete & Construction, Inc.
Paradigm was established by Jose Salazar with more than 30 years of experience in concrete and masonry work. Our goal is to provide our customers with superior quality, artistry and promptness along with competitive price. Our guys have been with us since the company started; they are committed and work hard. "I am a working owner" Jose explains. "I work on every job with my crew, and we pride in being prompt and accessible so that the owner can always reach me. We are very respectful of people's property." We take on every project small or large. Ensuring the customers' satisfaction and striving to improve service in all is part of our business. We are a member of the Better Business Bureau. We are a member of the NARI San Francisco Bay Area Chapter and are involved with Rebuilding Together Rebuilding Together Logo projects which rehabilitates the houses of low-income homeowners, particularly the elderly, people with disabilities, and families with children. Bomanite is your Single Source for Innovative Architecturally Specified Concrete Paving and Flooring Solutions - Offering Concrete Toppings and Overlay Systems, Custom Concrete and Topping Polishing Systems, Exposed Aggregate Concrete Systems, Imprinted Stamped Concrete Systems and Pervious Concrete System "Grasscrete" through our trained dealer network of contractors. Our focus is on supporting our licensed dealer network of highly decorative concrete contractors for both exterior paving and interior flooring. The projects we develop and are installed by our network are typically specification driven or design built in partnership with the architectural and interior design community. We offer a full range of samples for specification professionals who see value in a single sourced product installation program such as ours. Visit our website to review our full offering of products and services. Master Built Masonry is a premiere business located in Citrus Heights, Ca. 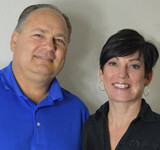 Owner Erik Hill has a keen ability to design a landscape to fit your family's lifestyle and needs. With over 19 years experience bringing homeowners' visions to life, Hillstone Landscape and Grading continues to provide clients with superior quality, service and value. We are committed to serving you with honest, quality work and products, a friendly, approachable attitude, as well as determination to getting the job done right the first time, every time. We treat all clients like family, and strive to get all details exactly as the homeowner wishes. After all, your yard should reflect your taste, lifestyle and vision. U.S. InterLoc is Northern California’s premier hardscape installation contractor with over 15 years of experience in the hardscape and landscaping field. We specialize in Interlocking Concrete Pavers, Retaining Walls and Synthetic Turf design and installation for residential and commercial exterior application. 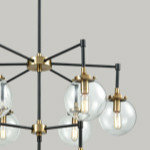 Our goal is to exceed your expectations of customer service, design, product quality, workmanship, and communication. Your outdoor living space should be an extension of your residential home. Having a properly designed and installed hardscape or softscape can give you much needed outdoor space for entertaining and enhancing the value of your home or business. From pavers, walls or turf, U.S. InterLoc will transform your exterior space into the sanctuary you desire. 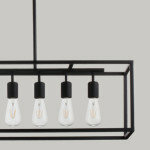 Our talented, dedicated team of experts is also able to assist you from concept to completion. We have the experience and resources to handle the unique working conditions of the region and ensure timely completion of your project. We can design and build driveways, walkways, pathways, pool decks to party areas, patio and lounge space, barbecue pits, fire pits and so much more! People have been dreaming in stone for more than 2,000 years. Ancient Romans built roads that are still being used today! As more and more people discover the enjoyment of outdoor living, one of the top priorities is often the construction of a driveway, walkway, patio, pool area or a place where they can relax. 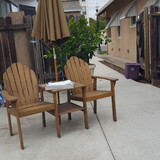 This area becomes an attractive outdoor room for work or play. It is a place to read the Sunday paper, eat a meal, play with the children, enjoy the sun, or entertain friends. This outdoor living space is an important asset, increasing the value of a home as well as reclaiming unused areas of lawn and garden. The selection of the color and texture of the pavers can be chosen to blend with the tone and scale of the house. A patio, walkway or garden wall can connect the house with various parts of the landscape and define spaces within the yard. Thanks for your interest in Mr Pavers Construction Services of Rodeo CA. We install cement paverstones in your patios and driveways and can construct your dream hardscape in locations throughout the greater San Francisco Bay Area--from Napa to San Jose, and from Pacifica to Pleasanton. Having a vision that the garage is an area of the home often overlooked but is a valuable space to increase the homes value, provide much needed storage space and a floor that is easy to maintain is my passion. Homeowners often overlook the garage and just toss everything into it and close the door. In most cases the garage is the single largest room in your home; and it often has some of the most valuable things in it such as your family heirlooms and other things you hope to pass down through the family as it grows. I have 11 plus years in the coatings industry so rest assured that your floor and cabinets will be professionally done right. Our Installers are courteous, professionally trained and have the BEST equipment on the market, and products to do the job right. We use HEPA Filtrated Vacuums. Our coatings products are the best and made in California so they meet or exceed the states stringent regulations. Our European Style Storage Cabinets are "Green", made in the USA and attractive. When you choose Garage Experts rest assured your satisfaction is our number one priority. I look forward to serving you and Un-cluttering Your Garage. We are a custom stonework and concrete company. I enjoy the craft and consider it my art. I am a masonry contractor specializing in Stone, Block and Brick for the home. I do good quality work. I take pride in customer service and doing a beautiful job. I have years of experience. For the most part, people hire a stone or concrete contractor for large installations like driveways and walkways, or for home facades and exterior columns. These brick, pavers or stonework installations can add lots of functionality and visual curb appeal to your California home. Pavers come in a wide variety of colors, shapes and sizes, and the right vendor or specialist can help you choose a color and design that complements your existing landscaping. From installing new exterior columns to repairing your chimney, masonry contractors can help you add both visual appeal and value to your property. 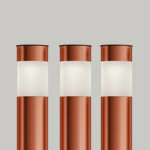 They’ll know what kind of installation makes the most sense for your Represa, CA climate and regional style. 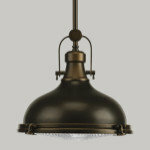 Looking for something that will develop a patina with time? Or would you rather have your home feel brand new for years to come? Choosing the right kind of stone involves thinking about the future, too. Experienced brick suppliers and stone suppliers can help you find the material that will work for your home now and for years to come. These professionals aren’t limited to exterior work either. Whether you want a split-stone granite wall in the kitchen or need help installing traditional brick masonry on your fireplace facade, you’ll want a professional to get it right. If you’re already working with an architect or designer, he or she may be able to suggest a good Represa, CA subcontractor to help out. Here are some related professionals and vendors to complement the work of stone, pavers & concrete: Landscape Architects & Landscape Designers, Architects & Building Designers, Garden & Landscape Supplies, Driveways & Paving, Siding & Exteriors. Find stone, paver and concrete professionals on Houzz. 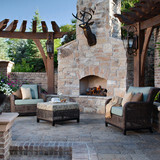 Search the Houzz Professionals section for Represa, CA stone, paver and concrete professionals. Browse photos and read reviews, and contact a pro if you like their work.